“How to Naturally Look and Feel Younger” will be presented by Rebecca Willer from the Continental Spa in Green Valley on Monday, August 28 at 6:30 p.m. in the Madera Clubhouse. Be sure to mark your calendars so you won’t miss out! Thank you to everyone who participated and attended the first-ever Jeopardy in Quail Creek this past Monday evening. A good time was had by all. Game contestants (volunteers, and those whose arms were twisted) were Deborah Bryant, Dodie Prescott, Kathi Krieg, Joy Sack, Marilyn Beim, and Ann Nease. First-place winners for each game, Kathi Krieg and Ann Nease, won a $40 cash prize! Second-place winners, Deborah Bryant and Joy Sack won a $25 gift certificate to the Grill. And the third-place winners, Dodie Prescott and Marilyn Beim, didn’t do too bad winning a bottle of wine! Several audience participants won a new TWOQC item, a hunter green sun visor with a quail logo. 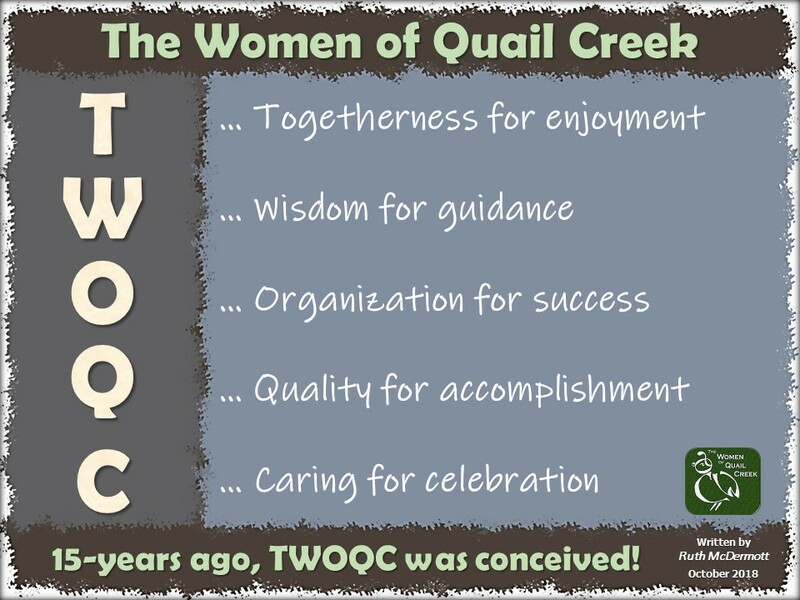 TWOQC members on the programs committee who developed the questions and answers were: Kathe Alves, Joan Hay, Barbara Kittle, Peggy McGee, and Janice Pell. During the games on Monday night, Pam Rodgers portrayed game host, “Alexa” Trebek. Marianne Cobarrubias developed the game and ran the game & Jeopardy music as the IT Master. Pat Neel with Jeanne Stevens’ assistance tracked each contestant’s points. Pat Bencic, Irene Broderick, and Peggy McGee served as monitors for contestant responses. And Programs Committee Chair Kathe Alves made initial introductions, announced the game rules, and selected 3 contestants for each game. This program was pure teamwork, no doubt. Check out the «photos & videos» where you will see photos by Eileen Sykora, and videos by Eileen, Susan Jones, and Kathi Krieg. As with any program presented for the “first time” there is always room for improvement. The programs committee invites you to fill out the form below to submit your thoughts (pros and cons, suggestions) so that if we offer Jeopardy again in the future we can make it bigger and better! Please do not be shy, we want to hear from you. Don’t forget to click on “Submit“! To claim the Aetna bag that contained toiletry items that was left at the clubhouse on Monday evening, please contact Peggy at «pastpresident@womenqc.com». Wow! Great work folks!! 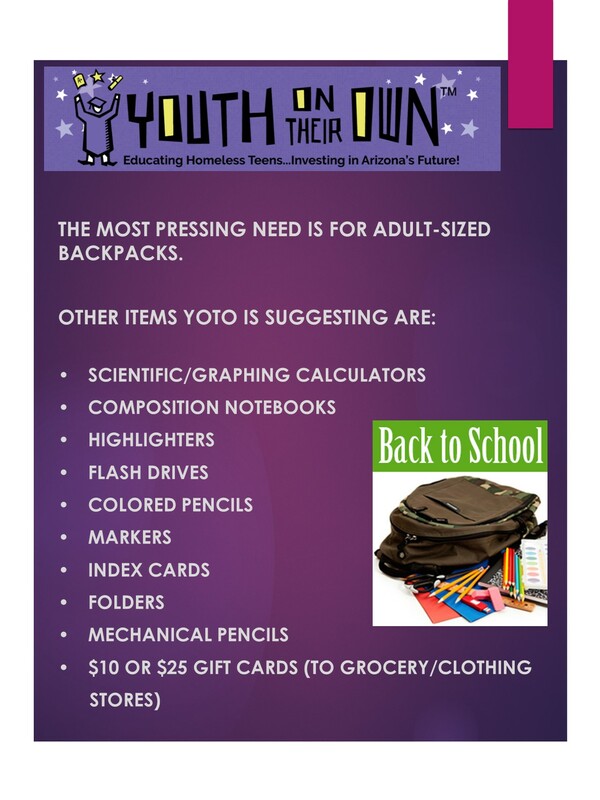 Lots of school supplies have been delivered to YOTO from the folks in Quail Creek and Green Valley/Sahuarita. With school beginning this week in many parts of Pima County the need continues. Leave your contribution in the bin at the clubhouse and it will make its way to YOTO headquarters in Tucson. For a complete list of the most needed items «CLICK HERE». 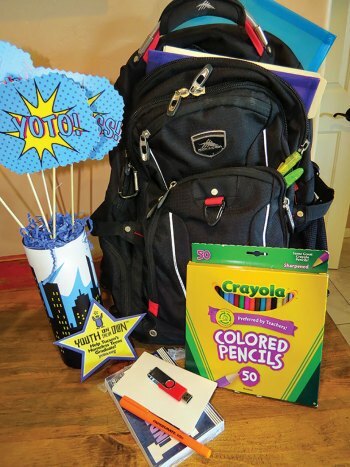 Did you know you could win a car or round-trip airline tickets by contributing to YOTO? YOTO is once again participating in the Jim Click “Millions for Tucson” Raffle, with 100% of the proceeds benefiting local Tucson charities! YOTO will receive 100% of all tickets that it sells. For more information and to purchase raffle tickets go to: «JIM CLICK MILLIONS RAFFLE IN TUCSON» (or https://yoto.org/events/jim-click-millions-tucson-raffle/). No letters were submitted at the July 31 Jeopardy program for the veterans going on the Honor Flight #23 scheduled for September 2. We know some of you are still writing to honor our heroes letting them know they are not forgotten. What has been received to date has been given to the VA staff member who is collating the letters into each veterans’ mail call bag. 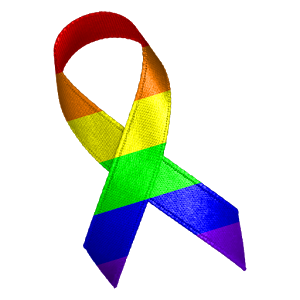 All letters must be delivered to Kay Robinson 898 N. Kenneth Drive (map) by August 15. Here is the «updated list of 67 names» scheduled for the trip to Washington DC. Do you have 2 to 3 hours to spare on Saturday morning, October 21st? 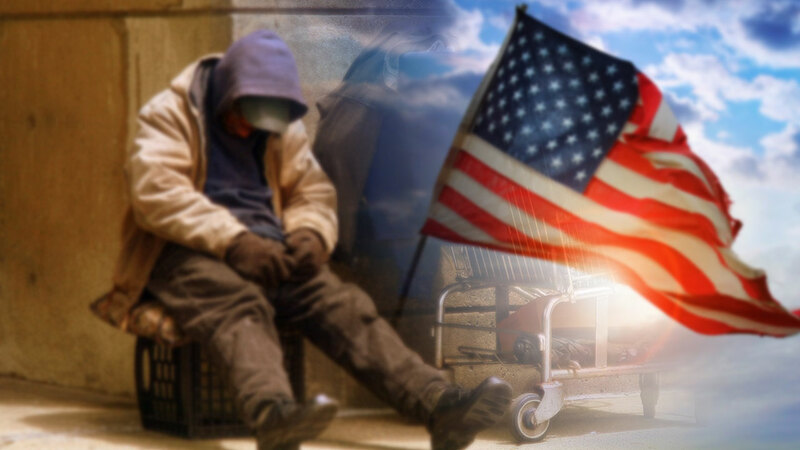 We are hoping you will volunteer for TWOQC’s Veterans’ Clothing Drive to help sort through all the clothing and household items that we receive that day. Most workers start at 8:45 a.m. and are finished around or before 11:30. Please contact Laura Colbert, Clothing Drive Chair, at (520) 625-4033 or «clothingdrive@womenqc.com». Thanks to all for your generous donations for our veterans. Thirty-two calendars, 21 lbs. of toiletries, paper plates and cups, 8.1 lbs. of note cards, a couple of backpacks, and numerous books on military history were all taken to the VA. The homeless veterans clothing room was able to fill some empty shelves with the underwear, bras, and articles of clothing that were donated. And Fido will be well fed for a few weeks too. The baby items were added to the basket for the baby girl due any day now. The thank-you from the VA for the items donated at our June luncheon can be found under «2017 Thank-You Notes». Please start checking your closets for career wear in all sizes for both ladies and men. We can take lighter weight items now and the winter weight items at the clothing drive on October 21. Thank you to the volunteers who stepped up to assist with the February Fashion Show and Luncheon. Knowing we can count on your commitment this far in advance is of great comfort. 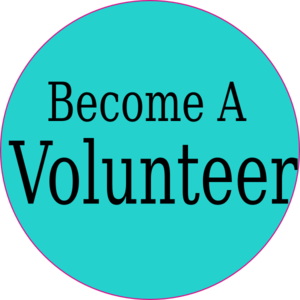 We do still need additional volunteers so if you know now that you can commit to helping out or need information on what commitments are needed, please reach out to Carol Shelton, Fashion Show Chair, at «fashionshow@womenqc.com».